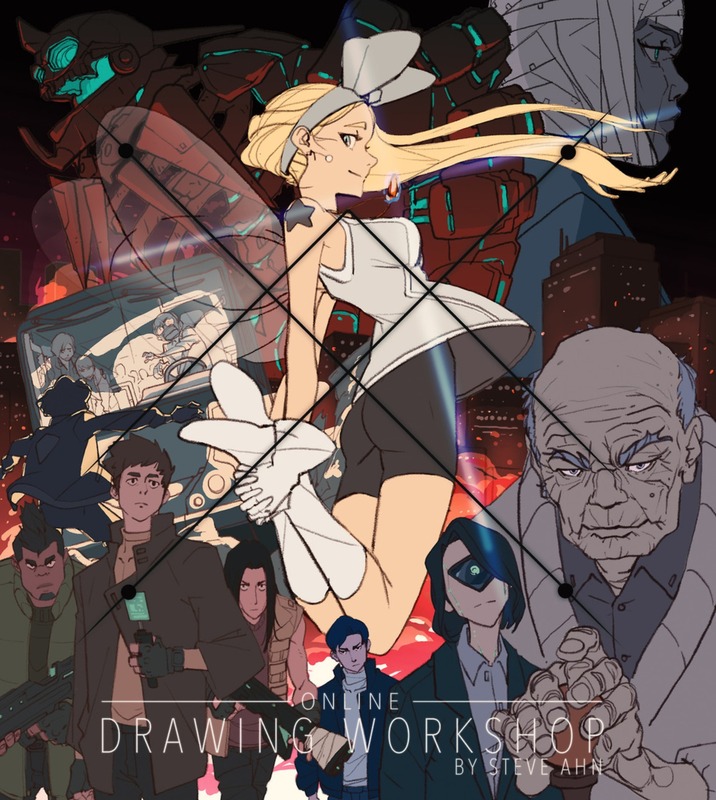 I'm is hosting an 8-week Online Drawing Workshop - Intensive Basic Course, where I'll share basic drawing skill set that I’ve earned from past 12 years of experience in the animation industry, working on shows like Voltron Legendary Defender, Avatar: The Legend of Korra, TMNT, Ben 10 Series and many more. From basic human anatomy, figure, acting, gesture, expression, design, developing own style and many more in depth studies of the character drawing will be discussed. Students will use critical thinking on drawing and design to help develop basic drawing skill sets. This workshop is for those of you who students or artists that are pursuing a career in the animation and game industry as a storyboard artist, character designer, visual development artist, character animator, comic artist and more. It is also for those who want to strengthen basic drawing techniques! Those who want to work in action-adventure shows, feature films, and game will also benefit as well. This workshop is designed especially for those who live far away from the Hollywood animation and game industry, and have struggled to find an opportunity to learn. Each week, students will have an access to watch my video lecture for studying and have an exercise to practice basic drawing techniques based on the topic shared from the workshop. There’ll be total 8 sessions (3 hours per session) and 8 exercises. Review and critiques in video format will follow. Steve Ahn is an animation director and artist. His work credits include director at DreamWorks for Voltron: Legendary Defender, assistant director at Nickelodeon for The Legend of Korra, and storyboard artist for various shows such as Teenage Mutant Ninja Turtles, Ben 10, Generator Rex, and many more in the action-adventure genre. Currently, Steve is working on his first independent animated series, Blossom Detective Holmes. If the assignment is completed in digital - Adobe Photoshop (or equivalent ex. Procreate), Wacom Tablet (or equivalent ex. iPad) If the assignment is completed in traditional - Sketchbook, 4B Pencil, Scanner or Camera for assignment submission. Preparation Guide for the workshop will be followed via E-mail a couple weeks before the workshop begins. Cancellation: Cancellation before the first day of class: the full amount will be refunded back to your credit card that you used at the website. After the first lecture gets delivered, you can only cancel assignment review portion and your account will be transferred to the audit version, which you will have 1 year subscription of streaming lecture videos. There is NO LIVE GATHERING for this workshop. Every lecture video and critique video are in a format of streaming the recorded video.